Disclaimer: This is a sponsored post on behalf of SOBO Skin Care. I have another product I wanted to share with you as part of my skin care month. Unfortunately this one is a little later, but I wanted to see if I saw any results before I shared this with you. If you follow my blog you will know that I’m a big proponent to skin care products. I’m always educating myself and testing out different lines, looking for some positive results. When I was given the opportunity to test out the SOBO skin care line, I was excited. 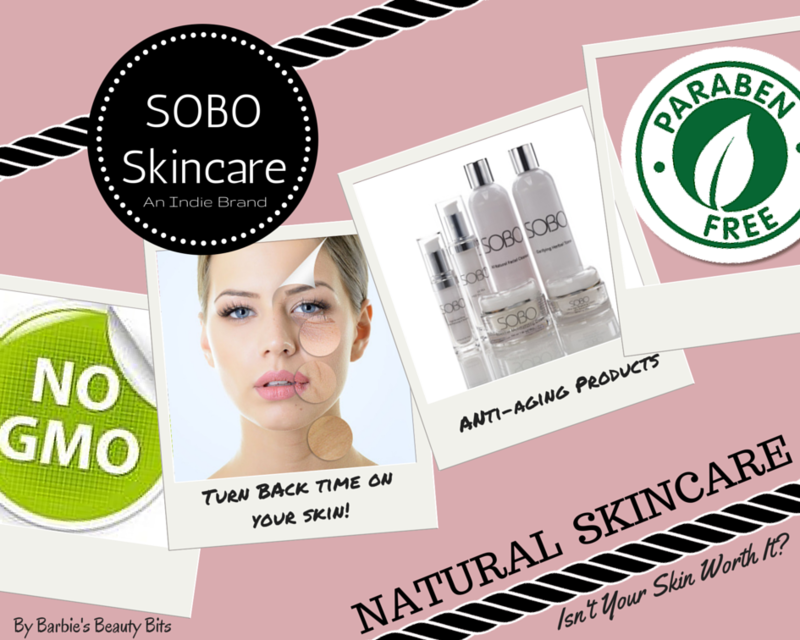 SOBO skin care is a new indie brand of natural skin care products. What makes them shine among other indie brands, is how they use a patented blend of both natural organic ingredients as well as various other power ingredients to make the product gentle on the skin. YEAH! The SOBO line combines various antioxidants like resveratrol to rejuvenate the skin. As well as Hyaluronic Acid and tetrapeptides. The best part about this line is their SOBO Promise, see it below. wever, far too many of us don’t start considering them as possible additions to our own beauty routines until the damage is already done. The fact of the matter is, the sooner you start using good quality anti-aging products, the better your chances of aging gracefully. Start by making sure you’re moisturizing your skin thoroughly . Keeping your skin properly hydrated not only helps prevent wrinkles, but it helps you to maintain that gorgeous, youthful glow as well. So What Did I Try? I tested the Essential Moisturizing Cream. Cost is $48.00. I was excited to try this as it has some wonderful antioxidants, such as co-enzyme Q10 and vitamin E to help purge the skin of toxins and reverse the effects of harmful free radicals. And the philosophy for using natural ingredients, won me over. I applied this cream to my neck and my décolletage area, as I am already testing out some amazing face creams and I felt that I would not get an accurate result if I combined them. What Did I See? This cream boosts some anti-inflammatory ingredients that actually made a difference in my décolletage area. (It is damaged from way too much sun). It smoothed out the skin texture in some places while helping with dryness. This zone can also get red sometimes because of the sun damaged, but this cream seemed to minimize it. Which was one thing I loved. 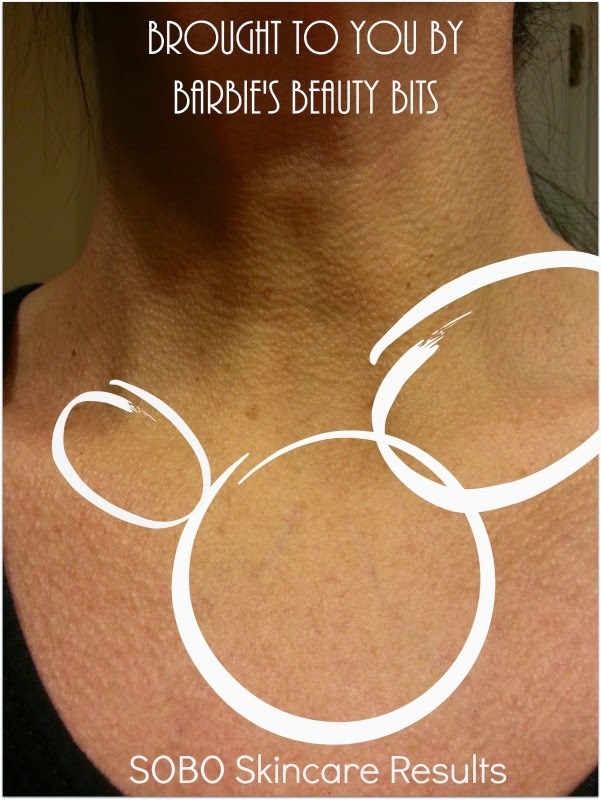 You can see in the photo below, the area's circled, the redness was reduced and the bumps are diminishing. Sadly, I have neglected this area over the years and put most of my skin care focus on my face. I will not be doing that anymore, I tell you that! In conclusion, I believe that skin care is something that needs to be ongoing and most important, start as early as you can. Regrettably, most of us wait until it’s too late, when the damage is already done. Adding skin care to our everyday beauty regimen, will help to maintain the skin, repair past damaged, and prevent future damage of our skin. Allowing us to age a bit more gracefully. IMPORTANT: Skincare is not different than anything else. You should always be educated on what you spend your money on. Not all products are for everyone and not all are created equal, so do your homework before you rip out your wallet. AND Remember power is knowledge, and isn’t your skin worth it? Before You Go: SOBO has given me a special discount code to share with my readers. See it below. **Discount code does not expire and applies to entire first purchase. Not valid in combination with other coupons. Ipsy's September Glam Bag Reveal, Street Style. Yes, that is right, all eyes are on NY this month, with street chic looks, an edgy style, of an individuals own fashion statement. Therefore, I'm hitting the streets and spreading the news about beauty in my own BEAUTYful way, with September's Ipsy bag reveal. I'm going to wake up in the city that never sleeps, to find I'm king queen of the hill, top of the heap...making a brand new start of it, with some great new beauty items from NYX, Crown Brush, Pacifica, Cailyn, and Briogeo. So without further ado, Septembers Glam Bag...Street Style. Sound like fun? If so, why not join me on ipsy and subscribe to the Glam Bag! For only $10 a month you get 4-5 beauty products every month delivered to your door!. Michelle Phan curates the bags! Check it out here. Disclaimer: This is a sponsored post on behalf of Markwins and Make-up By One Direction. ATTN: All Directioners & Beauty Lovers, This One Is For YOU! I've been sharing with you some great announcements about The Looks Make-up Collection by ONE DIRECTION. But today, I have the best opportunity ever! To start with, this makeup collection is now available at both Macy’s and Dillard’s. 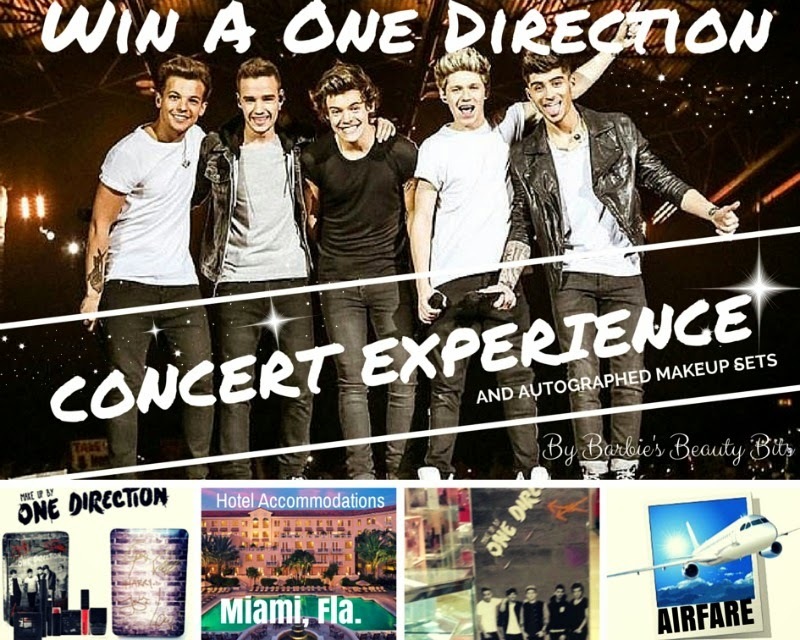 Secondly, and you’ll need to brace yourself for this one…I’m giving you the chance to win hotel accommodations and tickets to see One Direction in concert on Sunday, October 5th 2014 in Miami. Winners will also receive 2 limited edition autographed makeup sets. So how can you enter? It’s easy! All you have to do is enter below, like the FB page, & post to Twitter. Additionally, you can earn some extra entries by referring friends, pinning on pinterest, or liking the Twitter page. The more entries you have, the higher the chance of winning. One winner will be picked by end of day on 9/15/2014. In case you haven't seen some of my other posts on this collection, here is a bit about it. This 5 member boy band from England knows what “Makes You Beautiful” and have partnered up with Markwins Beauty, creating the “Looks Collection". This rockn’ 3 piece set is inspired and named after One Direction's three international success albums: Up All Night, Take Me Home, and Midnight Memories. So whether you're a rocker, the girl next next door or a party girl, One Direction & I have you covered with this! Good Luck beauties & directioners! COVERGIRL has teamed up with National Football League (NFL), to be the official beauty sponsor! Now how fun is that? With this partnership, COVERGIRL will be able to honor the league's female fans, in a BEAUTYful way! They will do this by creating 32 gameday makeup looks. Each look fitting one of the NFL teams. The looks will consist of eyeshadows, eyeliner, lipstick, a mascara, and nail polishes. If you go to their website, you'll notice that not all NFL teams have a look yet. 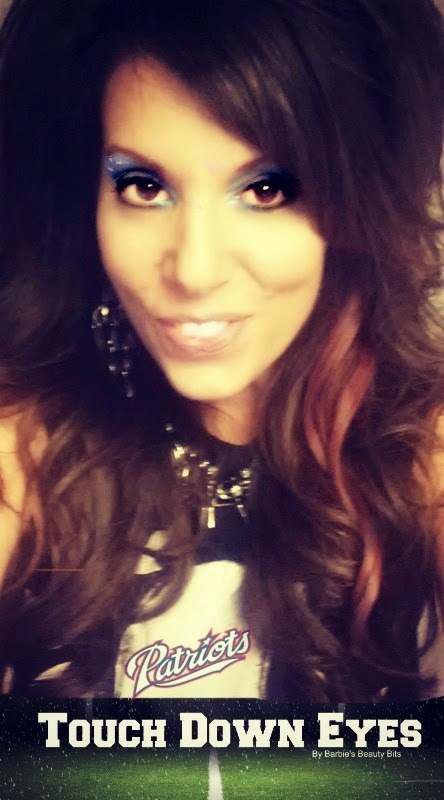 This is why I improvised my look with eyeshadow and stickers. None the less, I'm sure the kick off will be soon. From what I've seen thus far, COVERGIRL will have a great line up. So whether you’re at home watching the game or at your favorite sports bar. You can show your team spirit, with your game face on! Check out COVERGIRL's getting your game face on video right here. 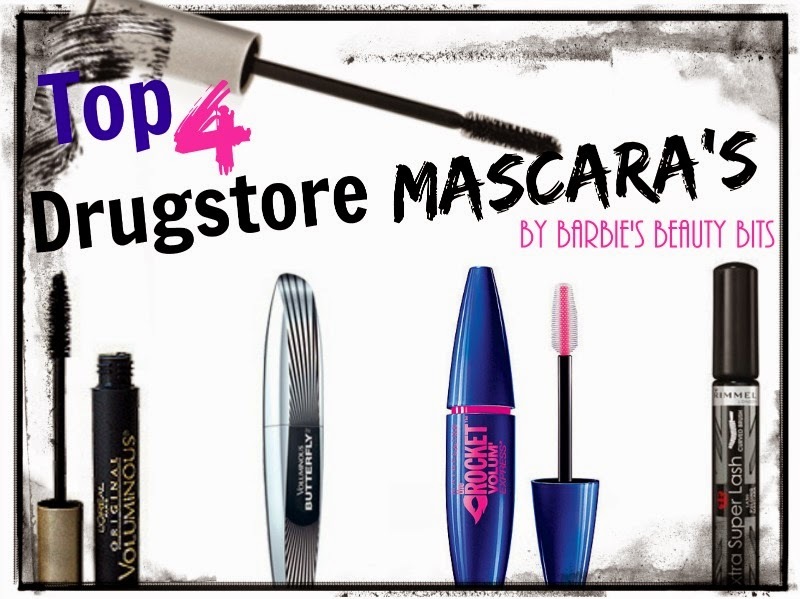 Bargain Beauty: Top 4 Drugstore Mascara’s & Mascara Giveaway! I’ve had a lot of you ask if I could suggest a drugstore mascara. Well ladies today is your lucky day. Below is a roundup of my top four favorite drugstore mascara’s. I just recently discovered this myself from the suggestion of a fellow beauty vlogger and I have to say I was pleasantly surprised. This mascara reminds me of a carbon as it is really black. I like the traditional wand, as it allows me to coat every lash perfectly. Furthermore, it doesn’t clump like a lot of budget brands. It is my long lash favorite, as it leaves me with long, luscious lashes, with awesome separation! This product skyrocketed to the top of my mascara musts. The 8x bigger, smoother mascara, adds length instantly, making this the great mascara in my searches. Additionally, it separates the lash which is a big must, when it comes to mascaras for me. Also, Maybelline’s The Rocket, curls without clumping. The patented supersonic brush glides on smoothly, in a single stroke leaving your lashes voluminous with no smudging. Lastly, this flawless mascara is suitable for all, as it comes in 3 shades; blackest black, very black, and brownish black! This an impressive one, with a symmetrical brush that extends allowing you to get the corner of your lashes giving you a winged-out effect. I found that it is amazing for lengthening, separating, and instantly volumizing the lashes. Rimmel London is not always an easy find at a drugstore. I tried this based on a recommendation from a friend. This $3 mascara has some benefits, being the one I wear when I go to work out. I don’t wear any other makeup while working out. However I like to have some lashes! Plus, it's waterproof which comes in handy if I’m breaking a sweat. The formula curls the lashes, which is why it has made it on my list.